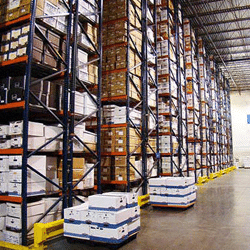 Carton flow rack is designed for first-in, first-out (FIFO) inventory management. 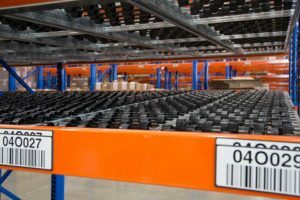 Rack supports inclined rollers or wheels that allow cartons to glide from the back (loading) aisle to the front (picking) aisle. Brakes can be included for speed control. These gravity systems provide excellent volume utilization. 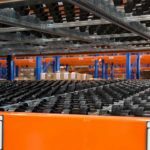 Carton flow can be configured in many different ways, such as a stand-alone system, integrated with various pallet rack types, or within a multi-level pick module. 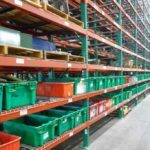 Carton flow rack provides constant inventory rotation so this system is ideal for storing materials with materials that vary in size, expiration dates, food and beverage applications and cold storage. 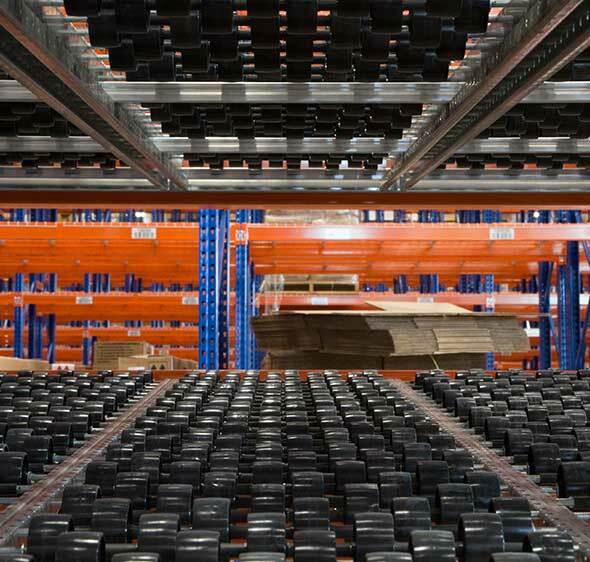 Carton flow rack allows products to be continuously available to pickers, which increases productivity and provides high volume case-pick and piece-pick applications. Read below to learn more on carton flow product flow, typical applications and other considerations. 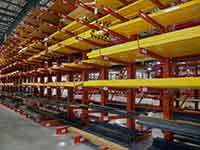 If you'd like to speak with a representative regarding carton flow racking systems, fill in the contact form on this page or call (800)595-0400. Cartons are loaded from the back of the system and glide to the front for picking. 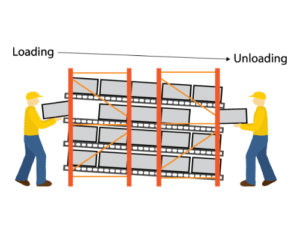 When the front carton is unloaded, the next automatically glides into picking position. 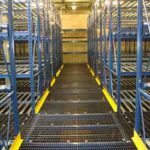 Tilt trays: located at the discharge end of the system to all for easy access into the top of a case or tote for piece-picking. 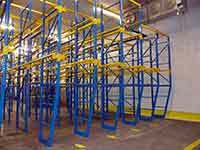 DO YOU NEED A CARTON FLOW RACK? 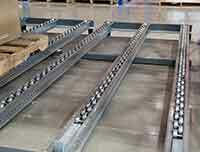 If you need a complete carton flow rack system, we can help. 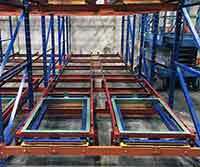 We've been creating high density carton flow racking systems for more than 50 years.